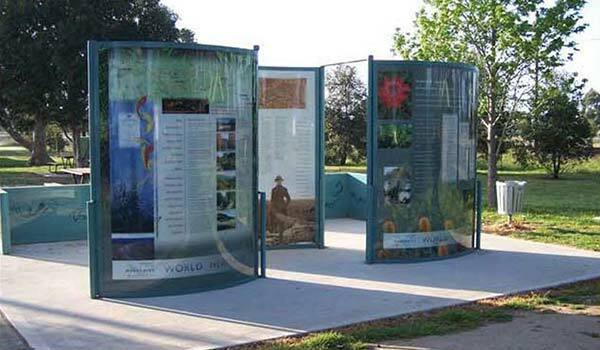 Nature tourism invites people to explore an outdoor area and experience first hand its natural and cultural heritage values. 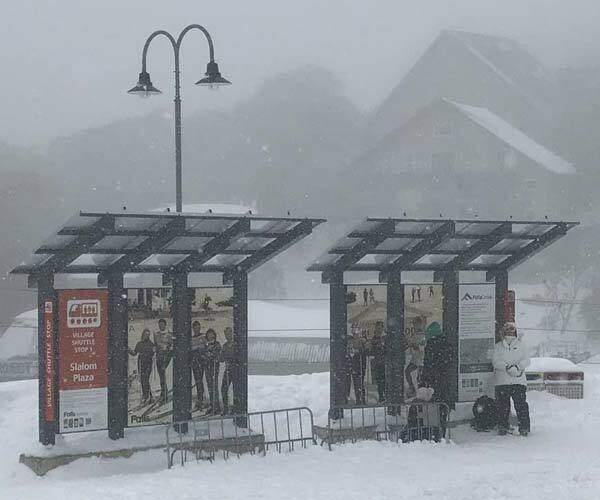 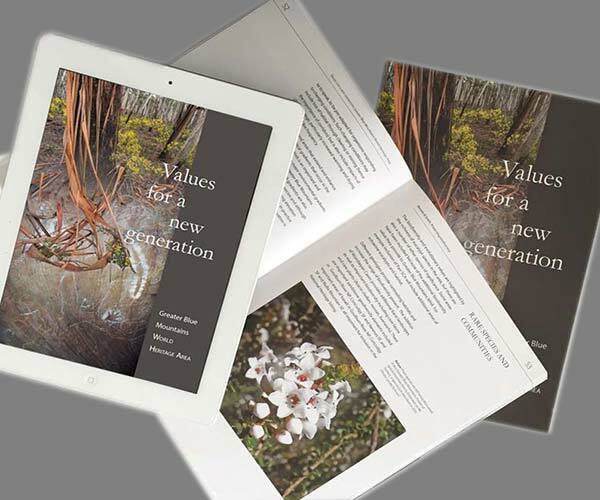 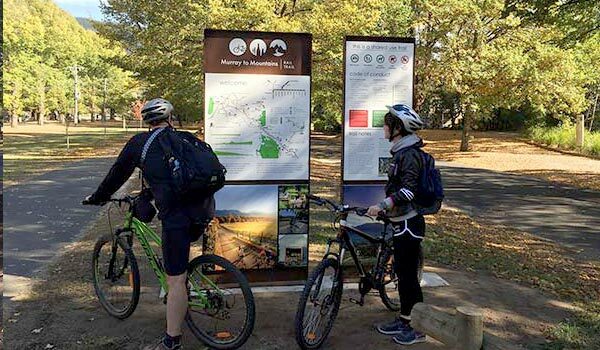 Nature tourism's promise is not just the enjoyment of open air activity, but rather the chance to connect with and appreciate a place's underlying heritage values. 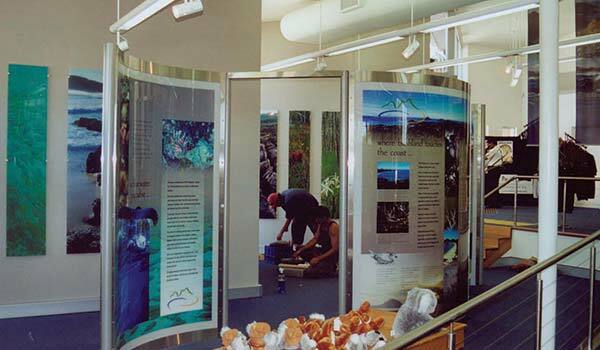 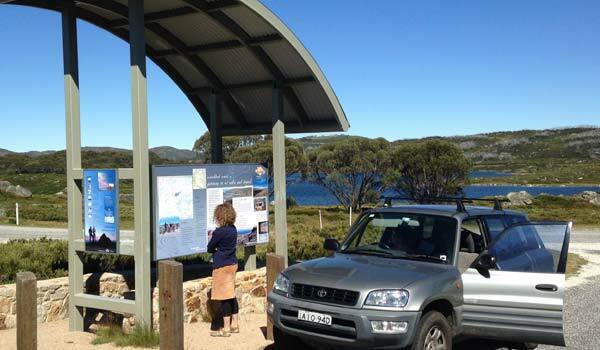 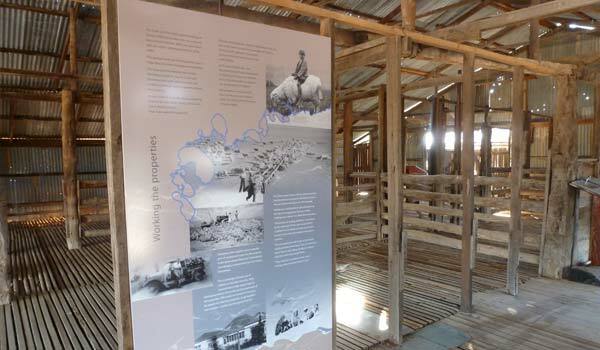 Nature Tourism Services was established in 1998 by IAN CHARLES and MARIANNE WALSH to help land managers deliver on this promise of safe, meaningful and enriching travel to heritage places. 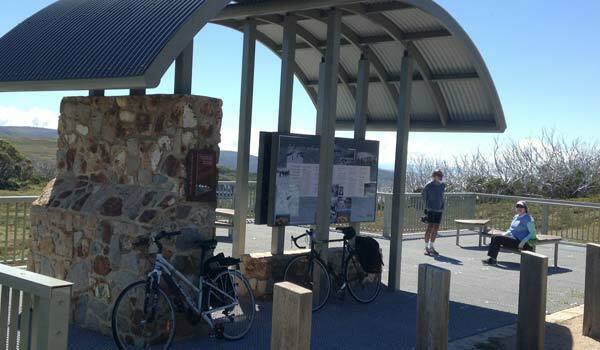 Murray to Mountains Railtrail entry, Bright, Vic. 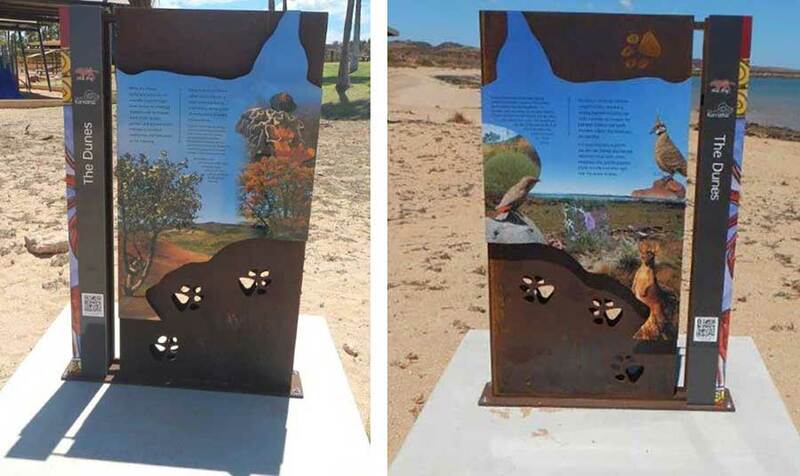 Red Dog Trail, Dampier, Western Aust. 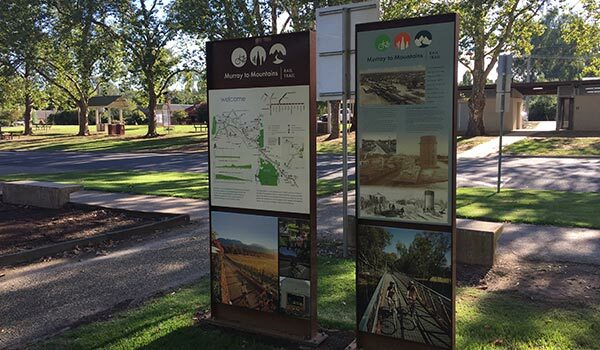 Murray to Mountains Railtrail entry, Wangaratta, Vic. 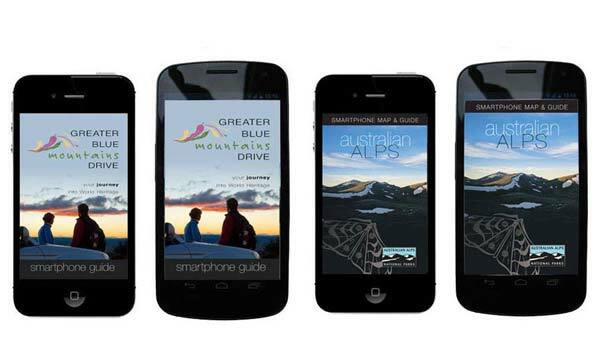 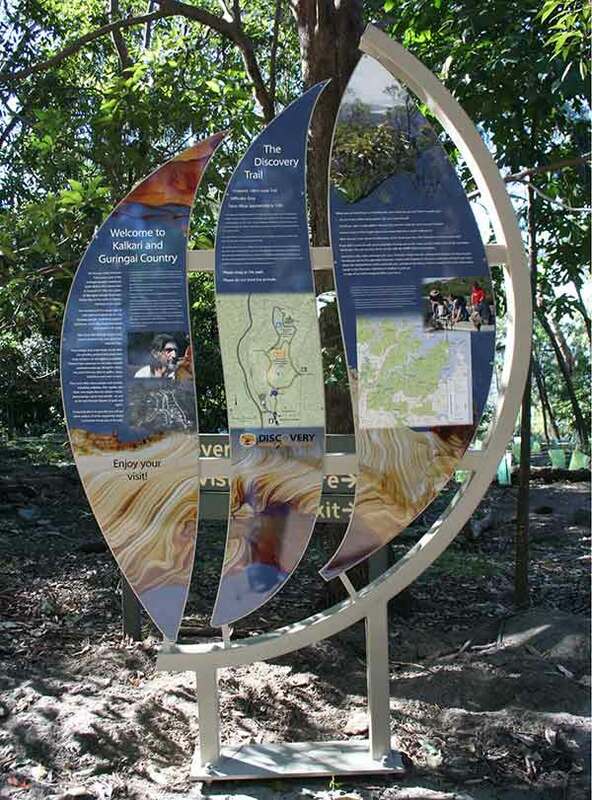 We offer a unique suite of integrated nature tourism communication products. 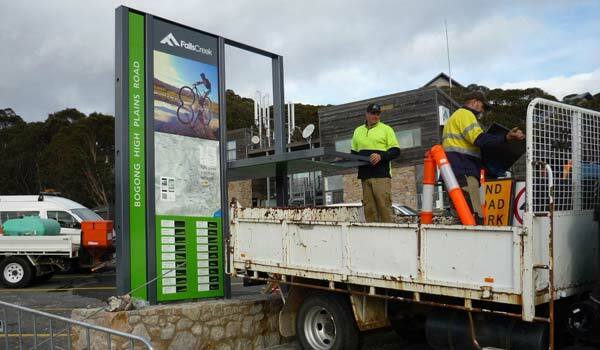 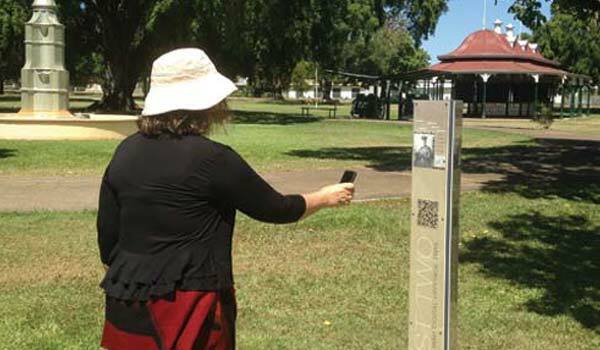 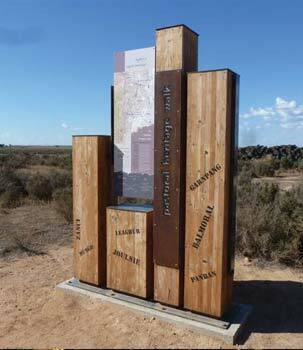 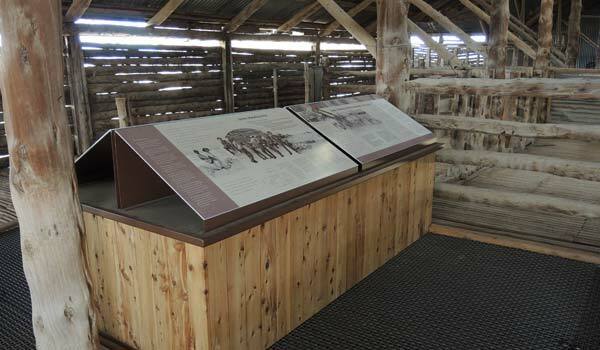 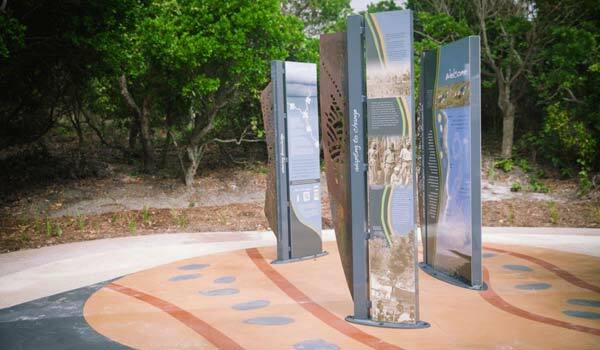 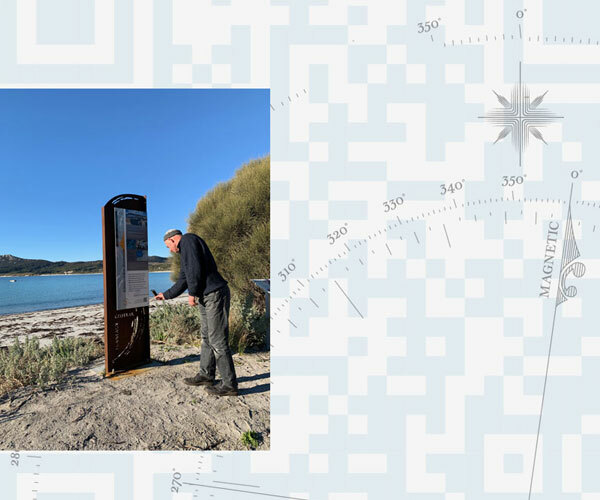 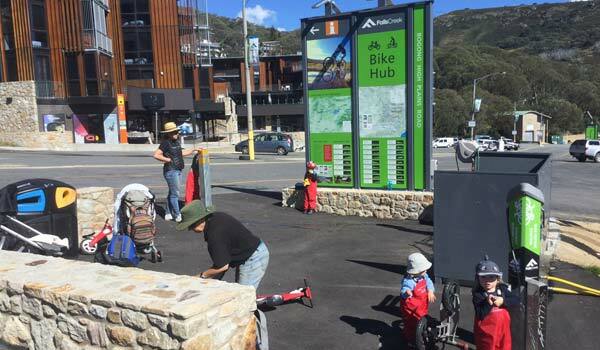 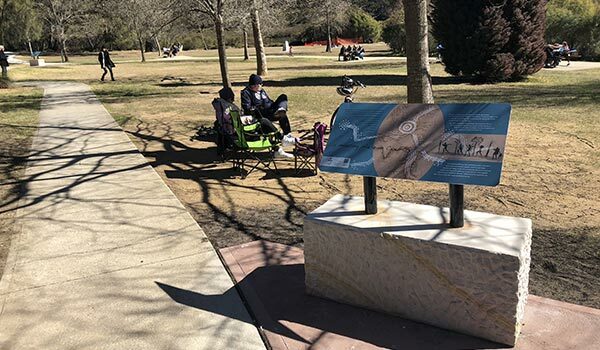 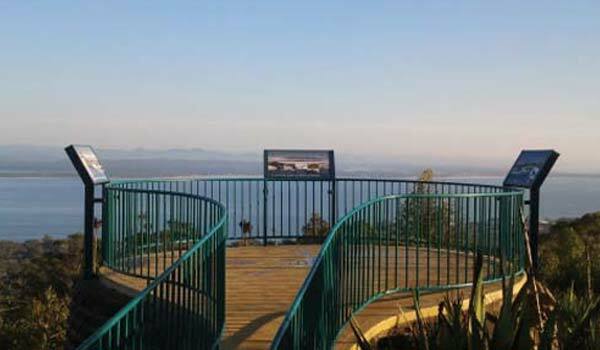 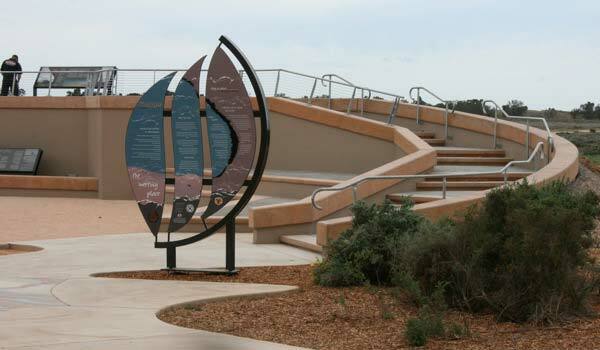 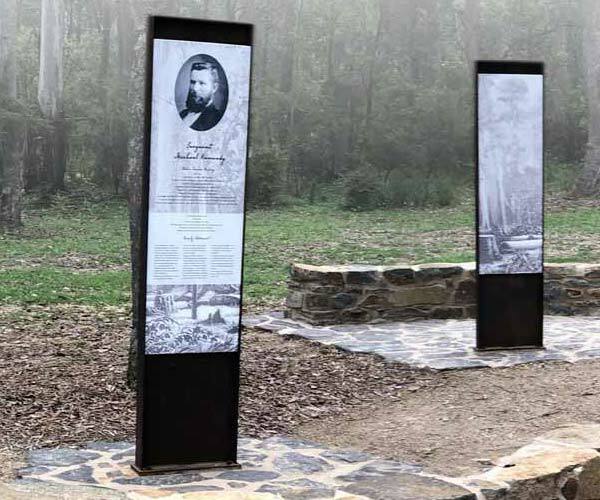 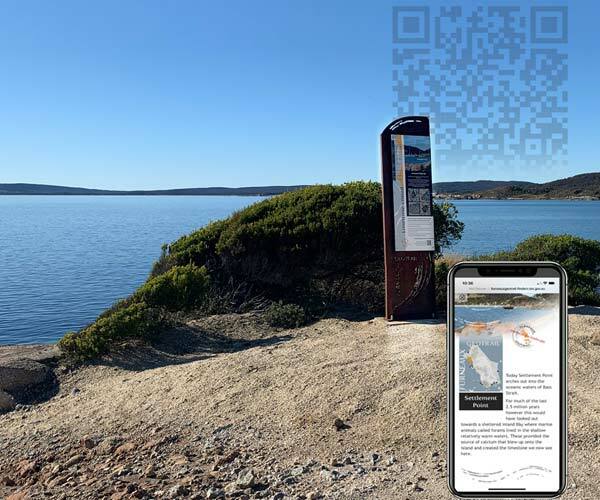 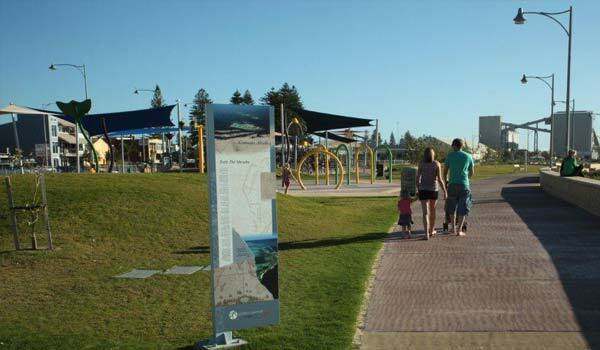 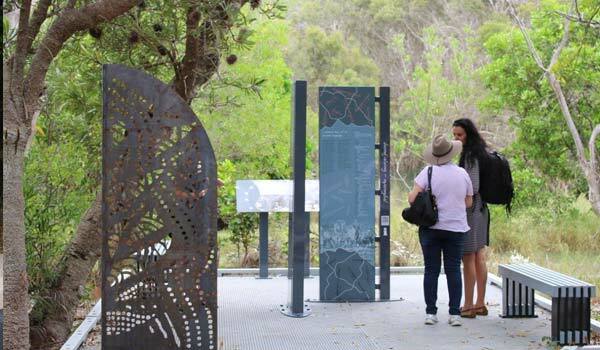 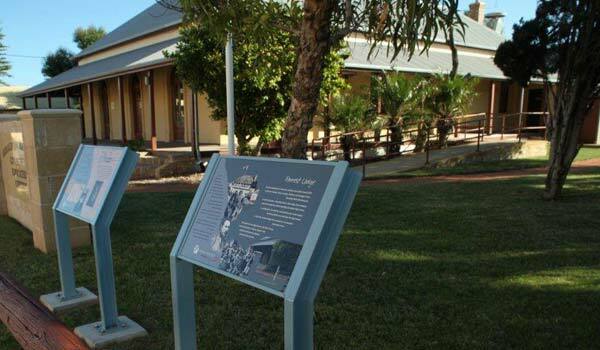 These include strategic interpretive planning, interpretive landscape design solutions, interpretation signage, interpretive mapping and tourism web-apps specifically developed to enhance the functionality of onsite interpretation signs. 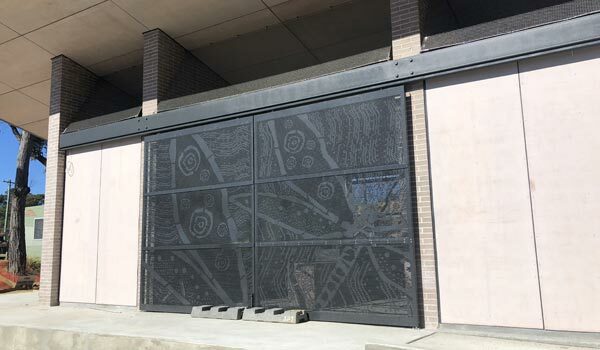 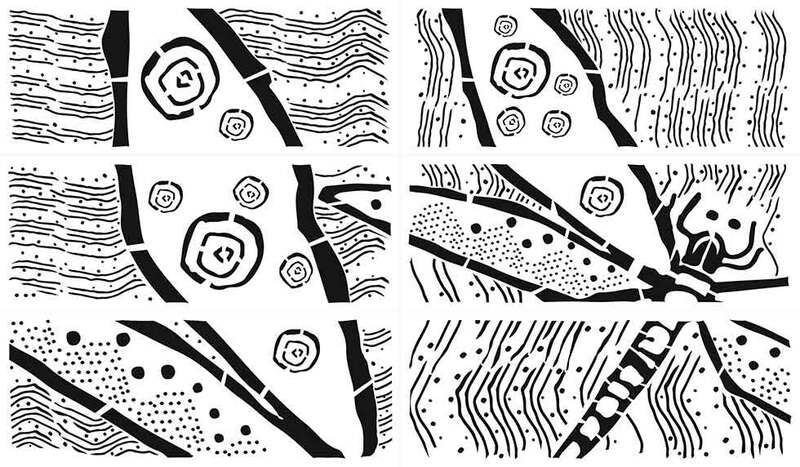 Above: Indigenous design motif cut out of steel sheeting for a gate entry at Wentworth Falls. 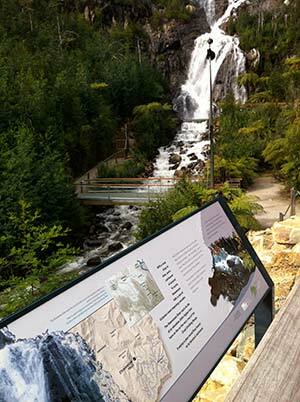 Artwork by Nature Tourism Services after original images by Chris Tobin. 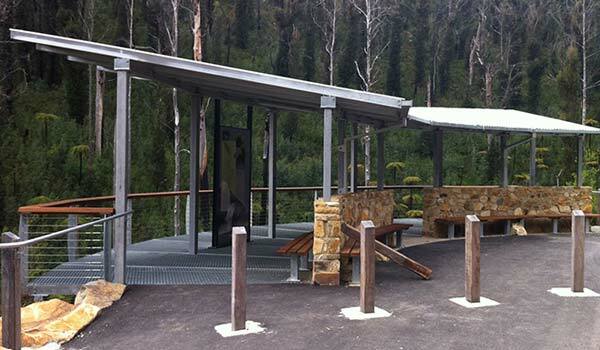 We are an Australian company based in the Blue Mountains west of Sydney. 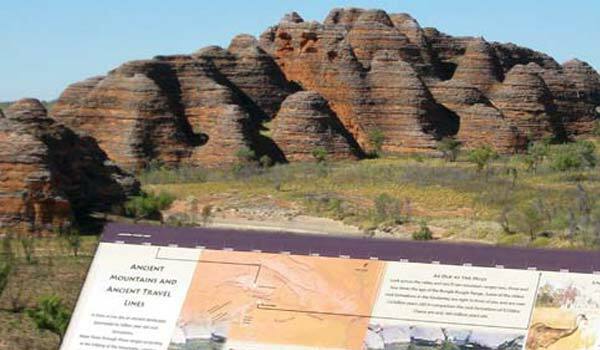 Our project portfolio embraces work across Australia including major projects in the Kimberley Region of Western Australia and Far North Queensland as well as extensive project work across NSW and Victoria. 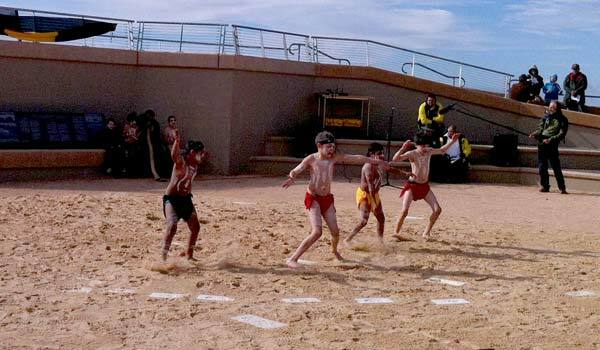 We have the capacity to undertake work for overseas clients on selected projects and welcome enquiries in this regard. 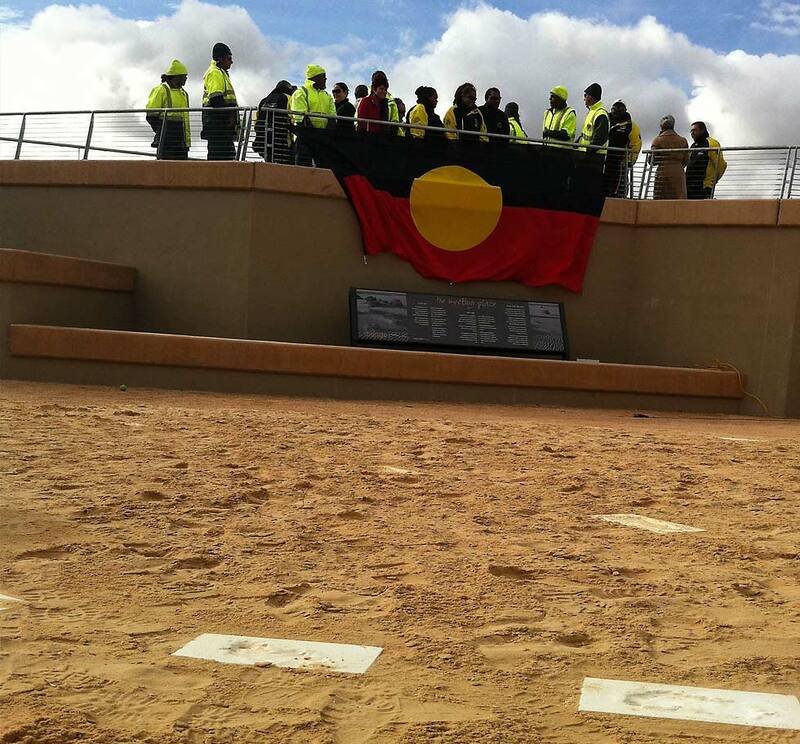 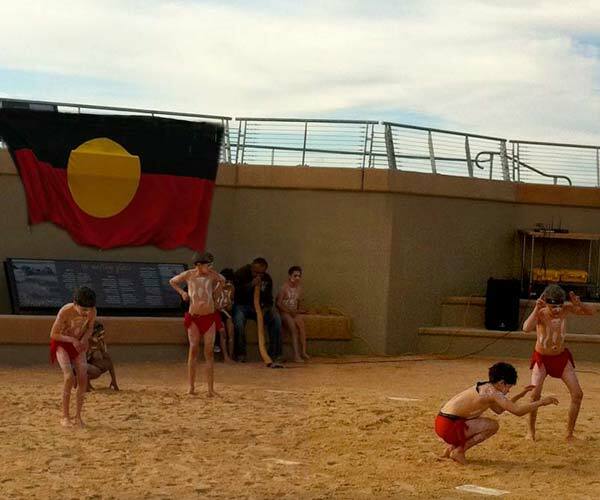 Aboriginal people who care for their Country at Mungo National Park gathered for the opening of the Mungo Meeting Place in July 2011. 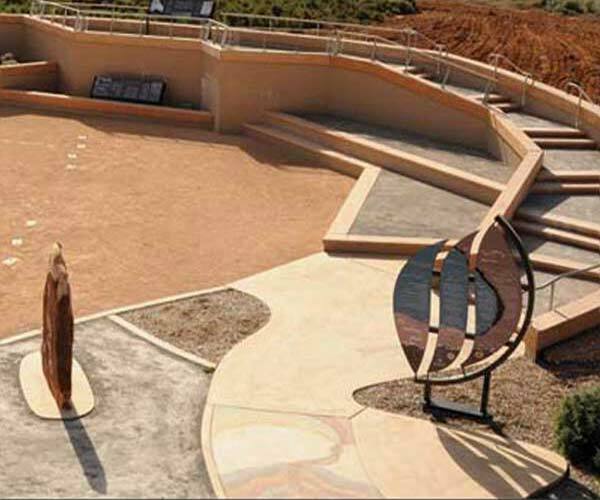 The Meeting Place includes re-created sections of Mungo's 20,000 year old human fossil trackways – the world's largest collection of ice age human footprints.